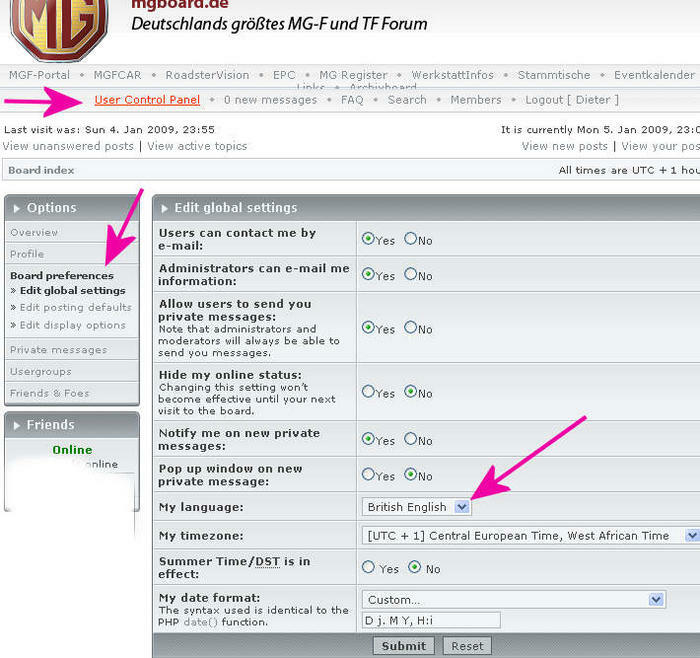 mgboard.de - Thema anzeigen - How to register ! 2. On the next page scroll down to the bottom, click "Ich bin mit diesen Bedingungen einverstanden"
3. Then the main registration page will appear. Look for the column "Sprache" where you can select "British English"
5. The rest of the registration is self-explanatory. Re: How to register !